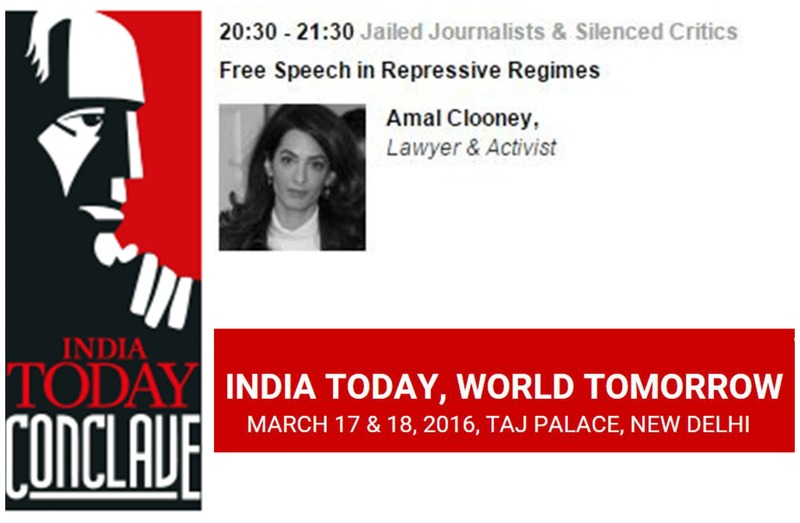 Amal Clooney is sheduled to visit India on March 18th as one of the speakers at the India Today Conclave. The two-day event will witness some of the finest minds come together to discuss and debate issues from around the world. Kalli Purie added that the participants will get an opportunity to listen to bright minds and discuss new ideas. 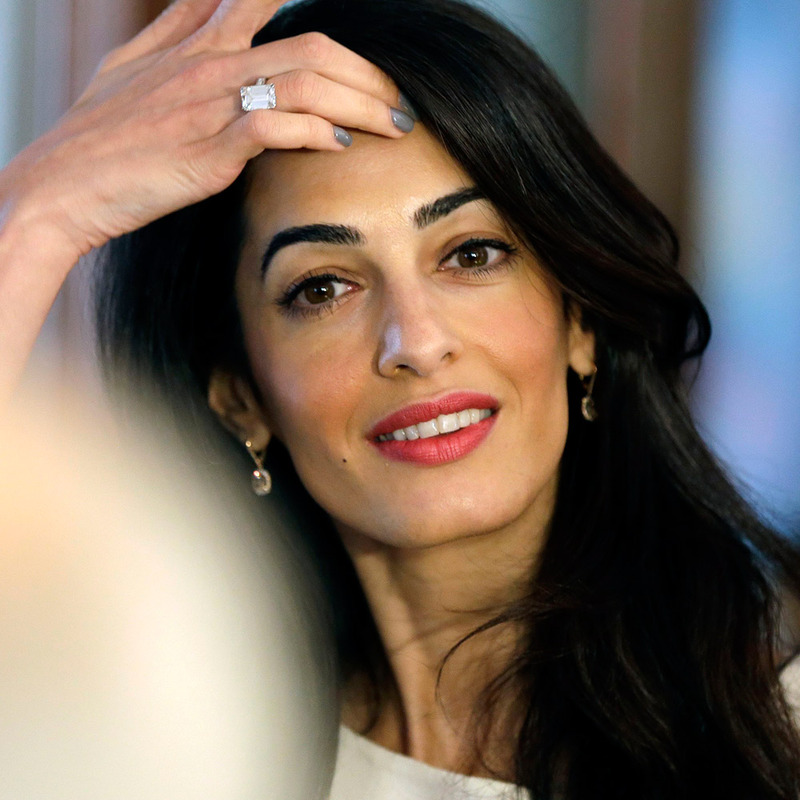 Amal Clooney will join a line-up of 23 other speakers who will speak on various topics. I would love to be able to hear her speech. Do you think you will be able to post it? March 15, it was televised in the USA about the good that Amal & George are doing with the refugee awareness. Video footage from the pics that were posted some time ago on this blog. They must be releasing it now, although it took place earlier. I saw it on a few different channels this evening. George & Amal must be officially releasing it. Amal should consider taking the case for the release of the American Virginia college student who was recently detained and sentenced to 15 years in prison in N. Korea for taking a banner in a hotel lobby for a souvenir. He was charged today to 15 years of hard labor in a N. Korea prison. Maybe Amal will consider this case on behalf of the Virginia college student. My understanding is that Amal only takes cases where she believes the individual is innocent. This young man was not innocent. He knew he could not take the banner and he did. I visited China for one month the year after Nixon opened relations and we were told not to take any of the interesting shaped money (coins) when we departed and the consequences if we did. None of us did as we knew the consequences. I saw the video of Amal with the refugees. She was once one herself. I dont know why Amal does not speak arabic herself in these meetings. She seems to understand without a translator. I think everyone is dying to hear her speak in her native tongue (I know I am!) Perhaps she is not as strong in the language as her resume states? I am sure she is fluent in Arabic, but arabic is not a single language. Amal probably speaks with a Lebanese dialect which is not universally understood across the Arab world. Syrians may not completely understand her Lebanese, and there may be aspects of the Syrian dialect that she doesn’t follow. I don’t believe her spoken fusha (modern standard arabic) is any good at all. Her reading and writing in fusha may be decent, however. But I don’t think it’s fair to assume she’s misled anyone on her CV, it’s probably just a dialect issue.